Abbey gains her Grand Champion title in 2011. She is the only grand champion with a Tracking Champion and Endurance Title in Australia. What a great acheivement from her. What else can she get upto in the future. We will just have to wait and see. 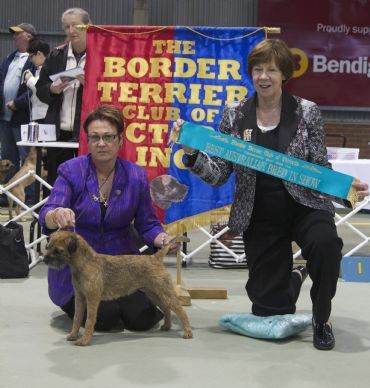 Abbey also gives Glenbogle Border Terriers their first home bred Grand Champion. 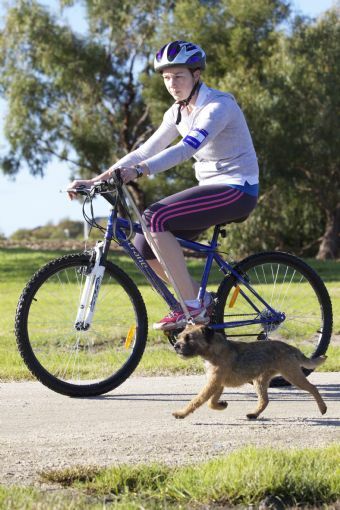 Abbey gains her Track and Search Excellent Title at the Tracking Club of Vic, on Tuedsay 11th Sept.She passed her night track (TSD6, Abbey has her TSDX title. Abbey is 4 years old and already has, had a great start to her showing career. Border Terrier Champ Show 2012 - Judge Mrs Susan Kealy (Ireland). Critique:Australian Bred In show. excellent type,good front and angulation, in good jacket, loose pelt, moved confidently. Abbey has started her final leg of Track and Search (2014)with another new title, this being her TS Champion title. Abbey is one of only two Borders in Australia to have obtained their Track and Search Champion titles. Abbey gains her Grand Champion Track & Search title on the 4th April 2014. Making her a Dual Grand Ch, she is only one of two to have this title. She is our our homebred girl. 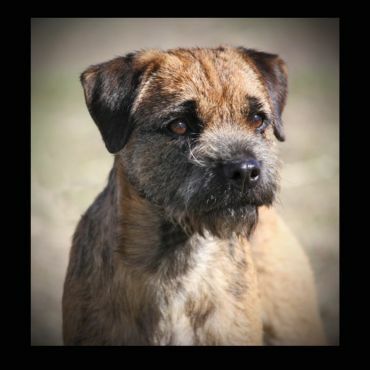 Our "pocket rocket"
Abbey at the Border Terrier Champ Show 7th June 2014, judge Mr Tony Syme, goes Best In Show, this makes her the third of our home bred Border terriers in a row, to have gained a best in show.